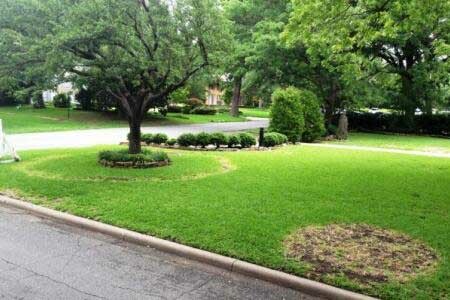 As it grows, the fungus limits water absorption in the soil, causing dead rings or circles in the lawn. The grass at the outer edges of the circle will die as the ring grows. The rings of fungus can continue growing in the same location for many years and can grow to almost 20-feet in diameter! If you have fairy rings in your lawn, call us today for a consultation! 972.272.9211 or Contact Us online.